Tearing up the trap scene with their easy chemistry and energetic bounce, Mal & Quill is ATL’s next iconic rap duo. Ready to level up and reach a hungry new audience, Mal & Quill announce Blessed Lil Bastards 3, their upcoming project. Twisting their flows around each other’s with lightning-quick rhymes and infectious ad-libs, Blessed Lil Bastards 3 is a testament to the Zone 6 group’s ride-or-die bond. Though many ATL rappers opt to face the relentless grind as solo artists, Mal & Quill accentuate each other’s strengths, as Mal’s smooth and percussive flow contrast against Quill’s drawly cadences and irreverent ad-libs. The follow-up to Souf6, the duo’s collaborative tape with rising producer Richie Souf, Blessed Lil Bastards 3 arrives this fall via 1017 Eskimo/Alamo. 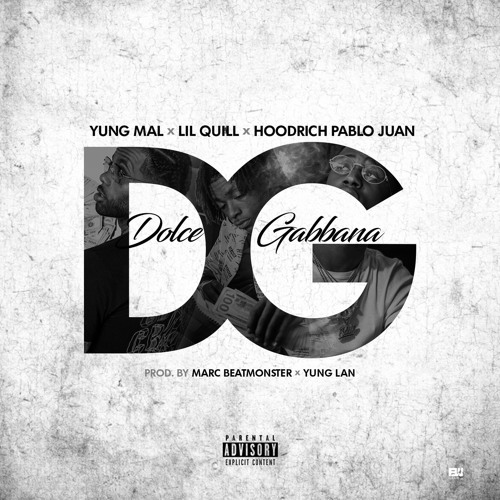 To accompany the announcement of Blessed Lil Bastards 3, Mal & Quill share “Dolce Gabbana,” their new collaborative single with 1017 Eskimo labelmate Hoodrich Pablo Juan. Boasting a bruising guest verse and a clever hook from Pablo, “Dolce Gabbana” is a percussive and grimy slice of trap, produced by Yung Lan and Marc Beatmonster. The three rappers take their craft seriously, they take their enormous wealth even more seriously, and they flex as if it’s an olympic sport: “Too many racks, my pocket got lumps/I come from a crumb, I cannot help but to stunt/Foreign my trunk in the front,” rhymes Quill.